A chocolate factory is laden with yummy chocolates ready to be stolen and collected along with bonuses and reward points waiting to be bagged in the kitty. Sounds easy? Not so easy, as there would be funny factory workers ready to tackle our hero’s predetermined actions. 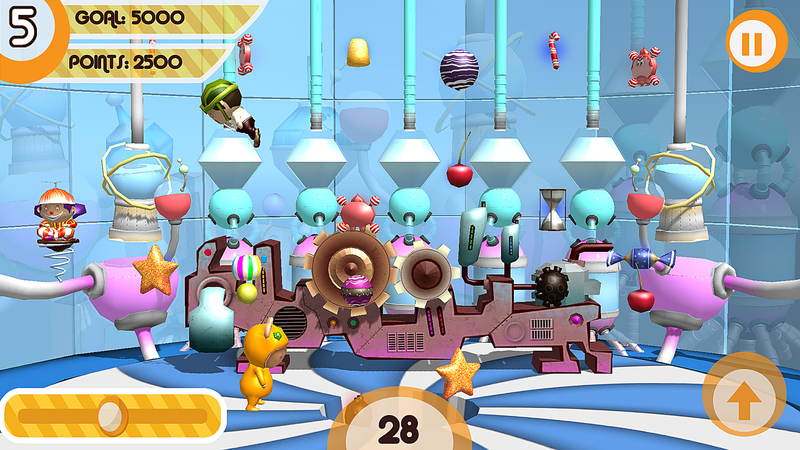 Help our hero to navigate into the factory by hoodwinking them to achieve the ultimate target, Chocolates. 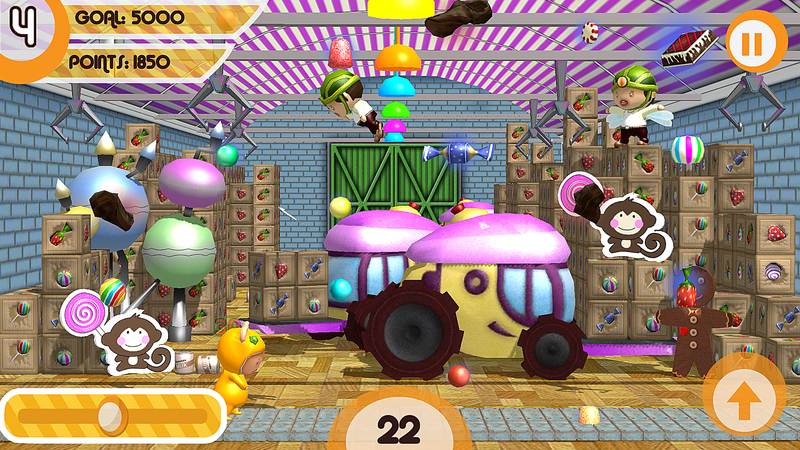 A combination of old-school game play and delicious ‘yummified’ targets makes ‘I Luv Chocolat’, fun-filled and challenging. In this fun family game, you’ll be outwitting the chocolate factory’s guards as you munch on tasty treats across seven exciting levels*. 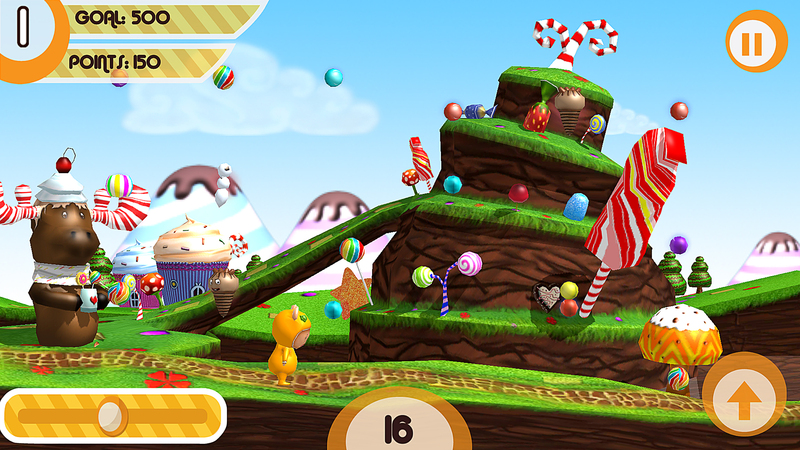 Collect the good chocolates to rack up a high score, while avoiding the bad ones to escape time and point penalties. Don’t forget to look at the time meter which will tell you how much time is left for you to gobble all the chocolates. The catch here is, the player has to score more than the specified number of points dedicated to a single level to easily cruise to the next level with a big bag of goodies. Good news is every good chocolate gives you a twinkle which tells the number of points you have won. So are you ready? Control and maneuver the Chocolate seeker in you using the slider on your left for movement and use the arrow icon on your right to jump. TWO VERSIONS TO CHOOSE FROM: Play for free and pay to get more! Face the fun-filled challenge of conquering two levels by collecting a total of 10 delicious, and lip smacking chocolates within a short span of time without paying a penny. 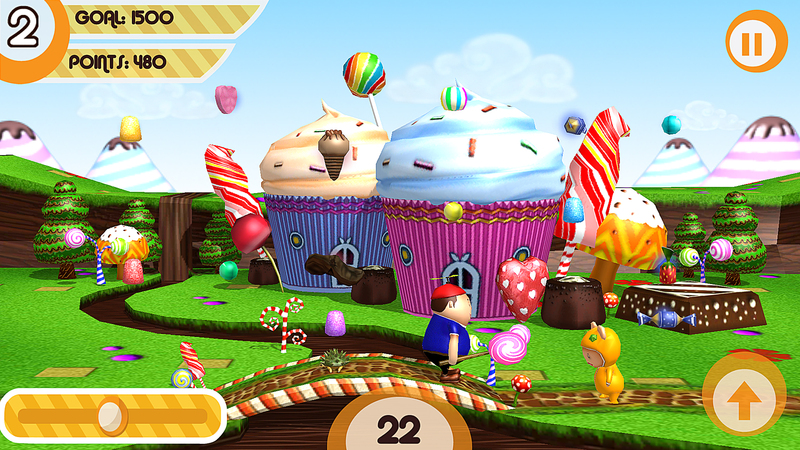 The full version of the game is a plethora of seven different levels with a massive collection of 30 different kinds of chocolates. Each and every level comes with a unique, different background and ‘test my intelligence’ chocolate hideouts increasing the excitement quotient. Seek and collect as much candies as you can in a pre-determined span of time to keep jumping level-by-level to reach the penultimate goal of becoming the conqueror and also the ‘True lover of chocolates’. Buy this App for a cool $1.99 only. So all you young boys and girls out there are you ready to have fun? Go on – get your munch on!